Skeptics of improbably green skyscraper concepts might want to take a moment of silence to appreciate the successful construction of these two beautiful buildings now nearly completion. 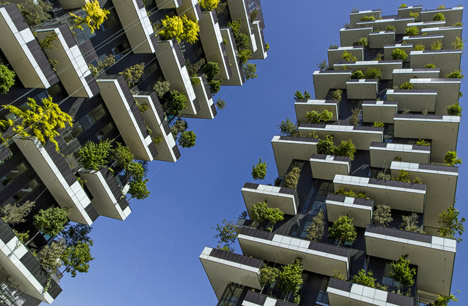 Designed by Stefano Boeri in Milan, Italy, the twin towers of the Bosco Verticale play host to nearly 1,000 trees, 5,000 shrubs and over 10,000 additional small plants. 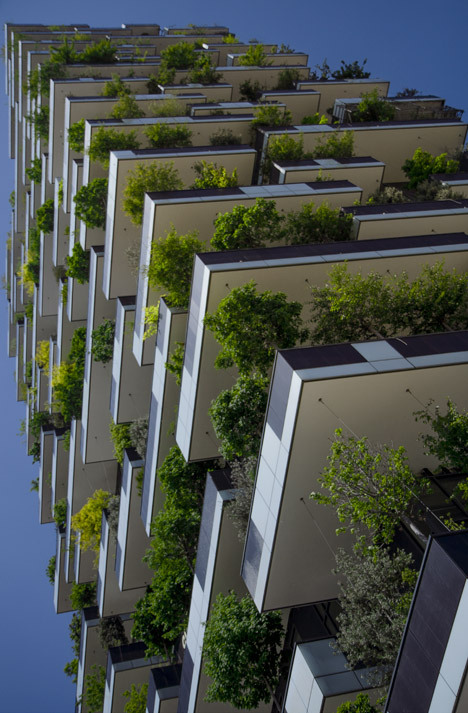 The building was fully designed with its greenery in mind, including accommodations for irrigation, root systems, plant weights and wind loads within the city. 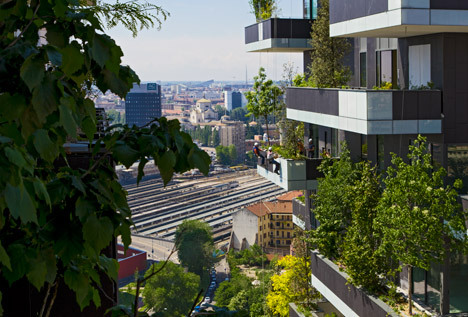 This rich miniature ecosystem of plant life in turn helps filter the surrounding air, dampen urban noise and provide shade for residents. 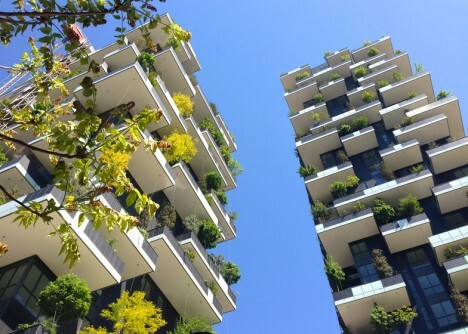 For its local environment, the building increases biodiversity and provides habitats for regional birds and insects.